Discussion in 'iPhone and iPad Games' started by TouchArcade Bot, Sep 6, 2016. Super-Evolve your Astromons! First up, Miho! Ready to unlock her true powers? ▷▷▷▷▷ Features ◁◁◁◁◁ # Astromons Assemble! From cute to sytlish, meet Astromons of all size and shapes! 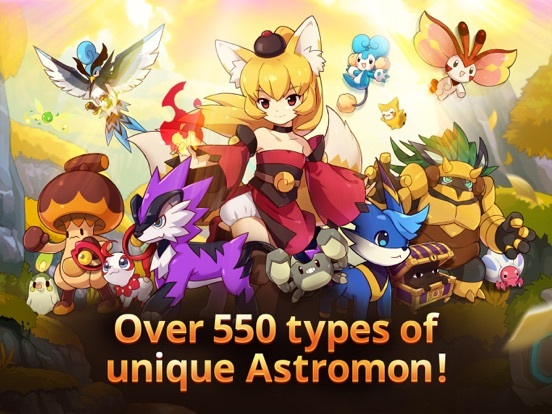 Discover over 550 types of Astromon in Monster Super League! # I Choose You! Catch rare and mysterious Astromons in the field! 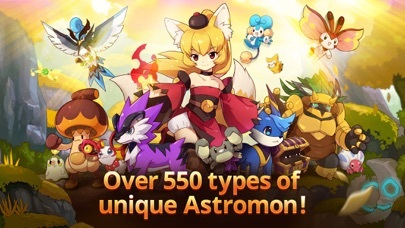 Evolve and Ascend your favorite Astromon! # Evolve and Grow! 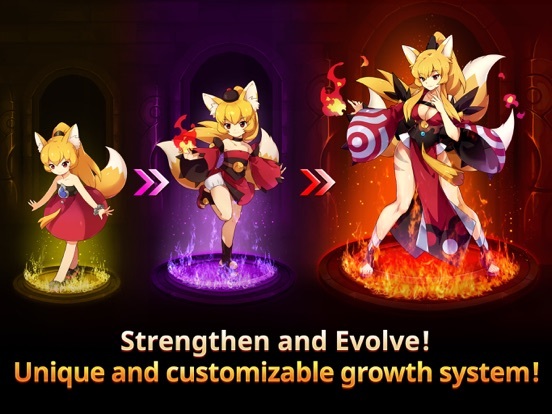 Evolution will affect your Astomon's looks and skills! You can Ascend all Astromons to 6 Stars! 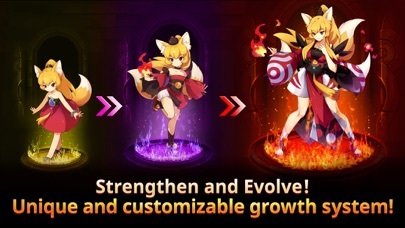 Evolve your Astromon in your own unique way! # Strategic Combat! Even the same Astromon can differ by attributes or combat style. Assemble your party to endure different areas and situations and enjoy adventure and combat! # Populate your Airship! 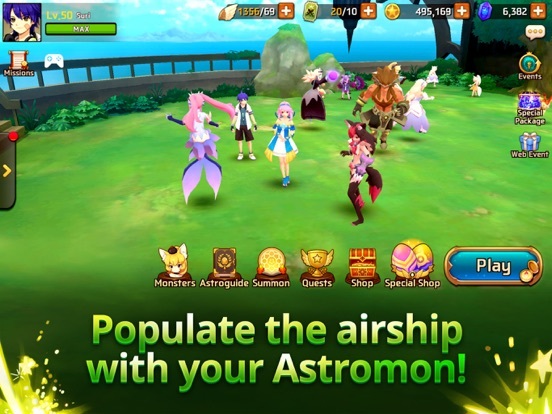 Have a great time with your Astromon on your airship! Sometimes you might even have a surprise visitor! # Socialize with friends! Chat and exchange presents with your friends! Give out tips and get advice from players around the world! # Become stronger in different ways! Combat is not the only way to become stronger! Achieve faster growth with fruit, and additional power with gems! # Diverse Content! Explore 8 different areas with unique storylines! Challenge yourself in daily Dungeons for better rewards! 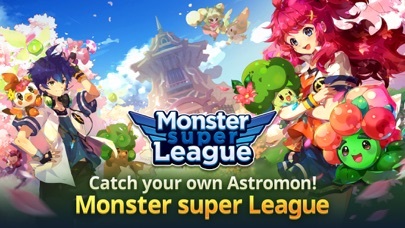 Battle against other Astromon in the Astromon League! Embark on countless adventures in Monster Super League! ▷Monster Super League Facebook:https://www.facebook.com/monstersuperleague Follow up on the latest news and events on the Monster Super League official community! It's a simple collection rpg game like SUMMONERS WAR, but monster is more attractive. Anyway, what stage can I get MIHO??? I am loving this game! I'm very surprised at how generous this game is with things and only 2 types of currency to worry about. Everything seems like it can be earned in game. However, I HATE games with an "auto battle" feature. What's the point in even "playing" this game if it practically plays itself. I would remove this feature to get a more "Pokemon" feel to it that I guarantee more people would love. It's more rewarding for the player that way. Ummm what. Just dont use that feature then? I got HORAN(tank) obtained by evolution! Pretty fun! Enjoying myself so far. Tons of quests and stuff to do. Probably going to be hooked on this one for a while. It's pretty addicting. I don't think this game has anywhere near the depth as summoners war. Each monster only has a basic attack, a special attack, and a passive. I would say the gameplay is closer to brave frontier. You use basic attacks to build up SP that lets you use special attacks. I'm still pretty early in the game, so I don't know how things will play out at higher levels. The gameplay is on the simple side, but the graphics are terrific, it's fun and not too grind so far. 4:33 puts out some really solid games. That was my perception as well. It's a shame because the arena hidden monster feature is really a good one - made me enjoy the PvP much more than Summoners War's PvP. But the lack of gameplay depth yet still all the grind makes me feel like gameplay took a step backwards in terms of innovation. I'm an addict fan of 7 Guardians from this studio they have the perfect balance of freemium games on timers and generous with events and rewards. Been playing 7 Guardians for close to 3 months now and purchased the 30 day diamond bundle twice ($6 total) as support and because it is more than enough as it went well with triple events discounts and higher chances at the same time not to mention diamond rewards from each hero rank mastery as well as very generous daily login rewards as i now have several 5 star heroes and 4 star everything else each leveled from their basic ranks which is a lot of xp and upgrades along with rank ups, easily one of the most fair F2P devs out there and i can't wait to start playing this one as the comments sound like it has the same formula. Trust me people this dev knows how to make proper f2p timer games. 4:33 please do not be another dev that makes grindy f2p games that end up cateri g to the whales and everything ends up as a paywall as that is the main reason i never download any but gave 7G a chance based on artwork and had a blast, just stay your course and i will download every single game under the sun that bears your logo as well as drop a few bucks for support and in hopes other devs learn how to treat their customers as humans instead of cash cows. Day 2 and I have aboutttt 7-8 hours into the game. Inno why but still hooked. Monster Super League - New Dragon Dungeon and Astromons Update! 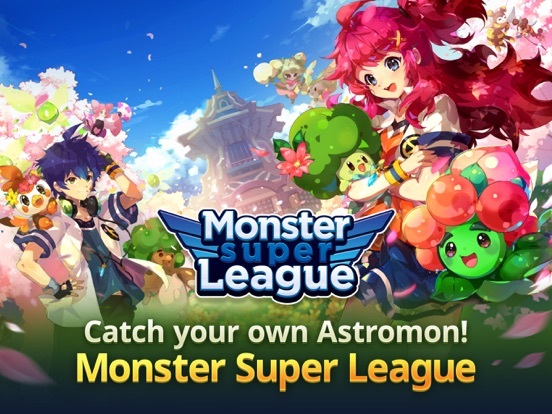 Monster Super League launches an exciting update today that adds 4 new Astromons, a Dragon Dungeon and many more changes! On top of that, there are new missions and gems added, chances of summoning an Arthur(★5) at the special shop has increased. They have also added 4 Astrogem packages that are only currently available to Android users. Dragon Dungeon is only opened every weekend and is available to players who have completed Stage 15 of Star Sanctuary Hard mode. To enter, you will need to sufficient energy and Dragon Sigils that can be acquired at a random rate at Extreme level stages. Dragon Sigils expire every Sunday at 24:00 of your timezone so remember to use them all! The dungeon has 10 levels (B1 to B10) and is reported to be of diabolical difficulty so bring your best with you. 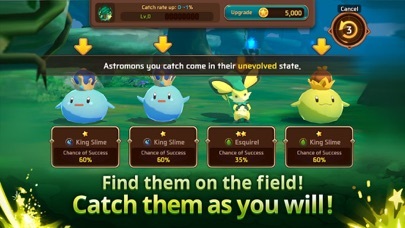 Players will not be able to capture Astromons in the stages or use their friends Astromon as a support monster. The Dragon Dungeon is a great place to obtain valuable gems such as Gems of the Pugilist, Gem of the Leech and Gem of the Sipho which are not available anywhere else. Similar to Golem Dungeon, each floor drops different shapes of Gems. 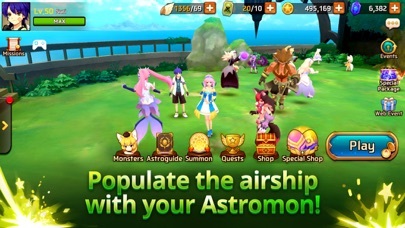 Astral Incubator is a place where you can summon Astromon using your Astral Essence. 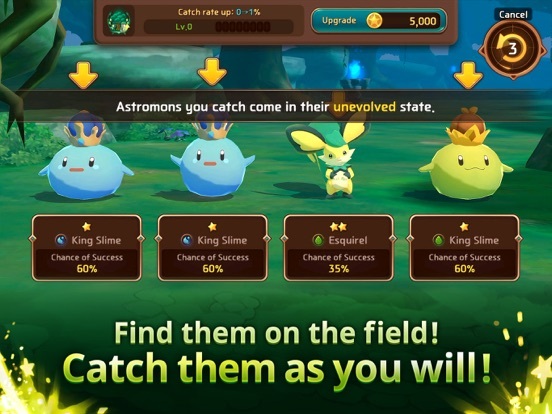 You can get a Special Astromon, Jinn (★4) from this incubator but do check the available types.Also, you can instantly transfer to Dragon Dungeon by clicking [+] button at Dragon Sigil.